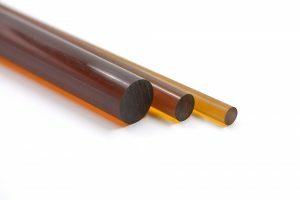 BIEGLO High-Performance Polymers expands their portfolio with polyamidimid (PAI) and polyetherimid (PEI). These polymers also rank at the top of the polymer pyramid. With polyetheretherketone (PEEK) and polyimide (PI) BIEGLO managed to carve out a niche that works well. 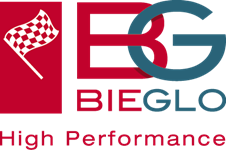 With these additional polymers BIEGLO sharpens their focus on high-performance polymers. PAI has a glasstransitiontemperature and can resist at cryogenic temperatures up to -270°C. PAI offers also an unmatched mechanical strength. At low temperatures, PAI is more impact resistant than other polymers. As a thermoplast, PAI can be injection, compression, and roto-moulded, as well as extruded. 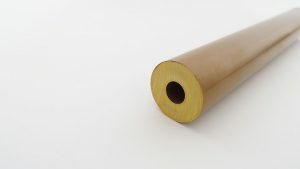 At the moment BIEGLO can offer extruded PAI-rods with diameters up to 250mm and different sheets. PAI semi-finished products can also be offered reinforced. 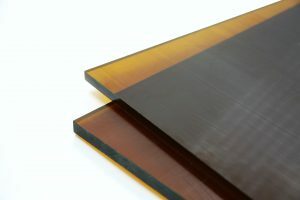 Among the high-performance polymers PEI belongs to the lower priced thermoplasts. PEI is amorphous and has a glasstransitiontemperature of 217°C and a high dielectric strength. Additionally, PEI semi-finished products offer an inherent flame resistance, and extremely low smoke generation. BIEGLO can offer extruded PEI-rods with diameters ranging from 5mm to 100mm and sheets with a thickness of 3mm to 100mm. “After observing exceptional growth in our Polyimide- and PEEK-business, we are curious to see, if we can achieve the same results with other high-performance polymers.” John Biesterfeld declared ambitiously.